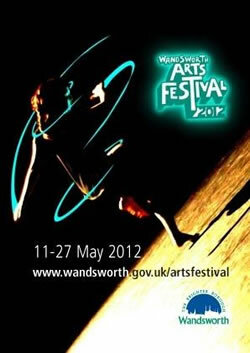 Warm up for the Olympics with this year’s Wandsworth Arts Festival, featuring more than 45 events in venues all across the borough. The festival, which runs from May 11 to 27, offers something for everyone, including spoken word performances, theatre, visual arts, dance and exhibitions by visiting and local artists. There will be ample opportunity for everyone to get involved and try something new – plus the chance to see inside some of Wandsworth’s most unusual venues such as Tooting Market, Southside Shopping Centre, Testbed in Battersea and Alton Estate in Roehampton amongst others. The festival’s final event - The Shimmy – is an afternoon of eclectic outdoor arts activities along the riverfront in Putney on May 27. Shimmying through the nooks and crannies of this riverside stretch are a series of arts encounters. People are invited to stop, eat and drink along the way or picnic in the park while enjoying a day of outdoor arts. Supported by funding from Arts Council England and sponsored by Southside Shopping Centre and St. James, the festival invites artists in the borough to work with local groups and support local organisations to create new work. An advisory group of local organisations and artists has worked with the council’s arts team to help develop the programme. The free event runs from 11am to 6pm on each of the three Saturdays of the festival. The festival brochure with the complete programme listing including detailed times and venue information, will be available at www.wandsworth.gov.uk/artsfestival as well as in libraries and other local venues from April.